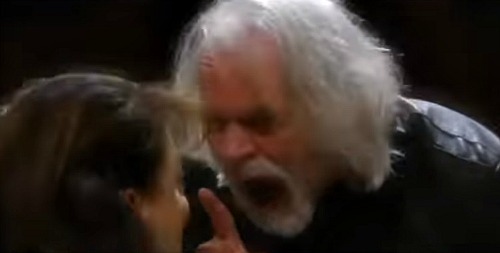 General Hospital (GH) spoilers tease that Faison (Anders Hove) will face off with some familiar foes in the weeks ahead. In the latest issue of Soap Opera Digest, Hove offered a preview of the drama. 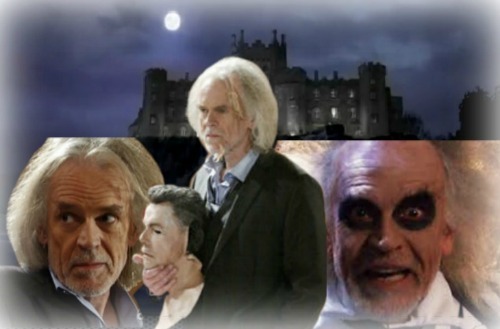 He also chimed in on this character’s longevity and why GH fans are always up for another round of Faison chaos. Many General Hospital viewers are anxious to see Faison in action. He’ll have some great scenes with Dr. Obrecht (Kathleen Gati) this time around. Naturally, Faison will encounter Anna (Finola Hughes) as well. Hove suggested that Faison’s Anna obsession was hard to describe. “I think that there a few things that you just can’t explain,” Hove admitted. “Faison believes that as much as she hates him, there is a little place…inside Anna where there is room for Faison.” Anna certainly wouldn’t admit to it, but she hasn’t been able to take him down thus far. Maybe there’s a hint of truth to Faison’s belief! 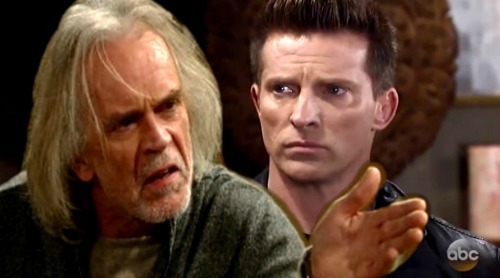 General Hospital spoilers say Faison will have a dramatic Jason (Steve Burton) battle, too. That’s definitely something that GH watchers are looking forward to. Jason would be dead if Faison had his way. He planned to discard Jason after the memory mapping study, but the traitor had other ideas. Of course, the traitor is also Faison’s son. Since all the signs point to Peter (Wes Ramsey), he’ll likely get have a showdown with Pops. Nathan (Ryan Paevey) will also have his chance, so there’s a lot going on during this stint. When asked about the father-son mayhem, Hove had an interesting take on how it will affect Faison. “It’s going to soften him up somehow, I think. And maybe it is time to pass on the torch,” Hove said. He even thinks that Faison’s “love for his son is going to come through in his way,” but it’s sure to be subtle. Faison’s obviously not the soft and cuddly type! Nevertheless, some shockers are brewing and GH fans can wait to learn more. We’ll give you updates as other news comes in. Stick with the ABC soap and don’t forget to check CDL often for the latest General Hospital spoilers, updates and news.